This white 100% super soft cotton slim fitted features one of Ross' Golds Platinum strains BC God Bud. 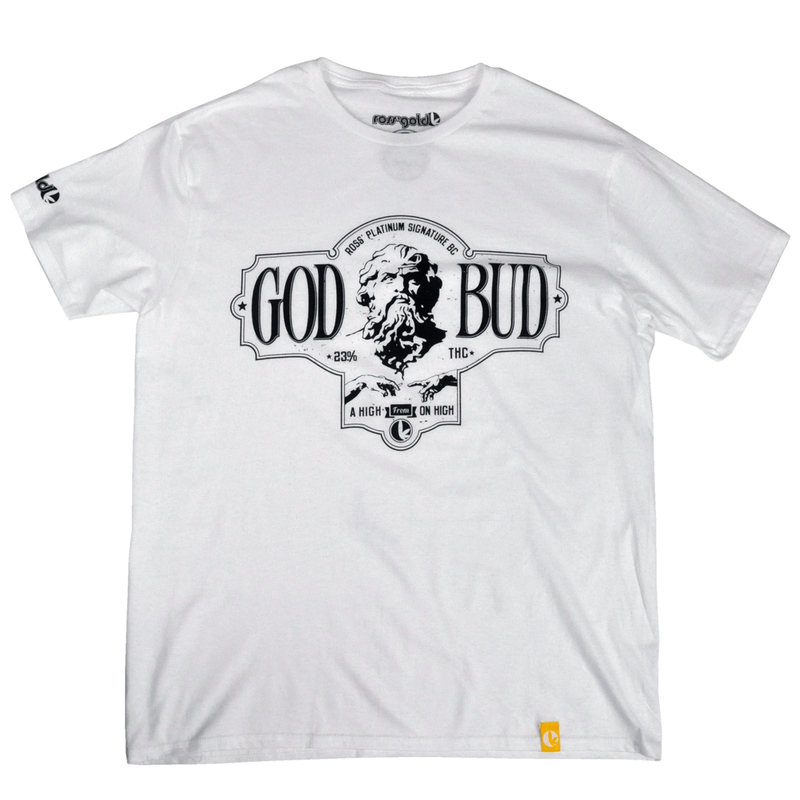 God Bud is written large in black on either side of an iconic male Greek God and his hands with a spliff. Below the main image is the 23% THC level and the words A High from on High with a small Ross' Gold emblem all encased in a movie ticket type border. The tee is adorned with a Ross' Gold sewn on tag at the bottom left of the shirt along with a Ross' Gold sleeve print on the right arm.